Better Hop To It! Easter is Coming Soon! You are some bunny special and we want to share our wines with you! As the weather gets warmer, enjoy our refreshing and crisp Sauvignon Blanc and Ruby Tuesday Rosé. 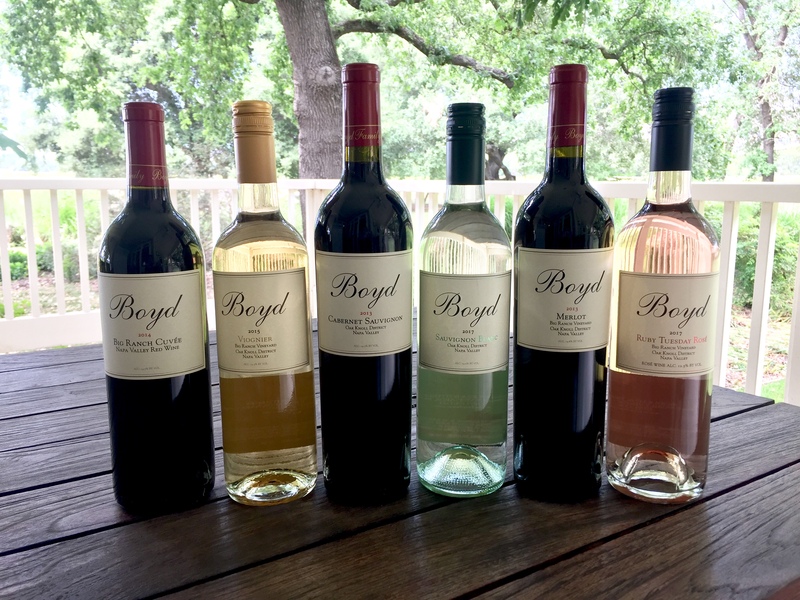 While savoring our barrel fermented Viognier and your favorite Boyd red wines, such as Big Ranch Cuvée, Merlot and Cabernet Sauvignon. Hop to it and order your favorites today to share.. or drink by yourself! Beginning in 1998 when we purchased our property on Big Ranch Road in Napa, we held a vision that very special wines and memories could be created in this location. Since then over 20,000 vines of Merlot, Syrah, Cabernet Franc, Malbec, Viognier and Cabernet Sauvignon have been planted, tended, nurtured, harvested, crushed and coaxed into fine wine. The vineyard is located in the Oak Knoll District of the Napa Valley which is known for its slightly cooler climate and heavy clay soils. This environment produces ultra-premium Merlot and Syrah used in many of Napa Valley's most sought after wines. Today, while we still sell over 50% of our grapes to other premium wineries we also produce very limited quantities of ultra-premium wine. These wines are produced using only the best materials and practices in search of creating wines that reflect a full bodied style that express the best attributes of the land.